Unicorns, Fairies and Rainbows. The Unicorn is the national animal. Yes, the unicorn. Fairies, gnomes and elves also figure into legend. And, I’ve seen quite a few rainbows there. Nessie. The very real, very historic [imaginary] Loch Ness Monster is a beloved national symbol. Thistle. 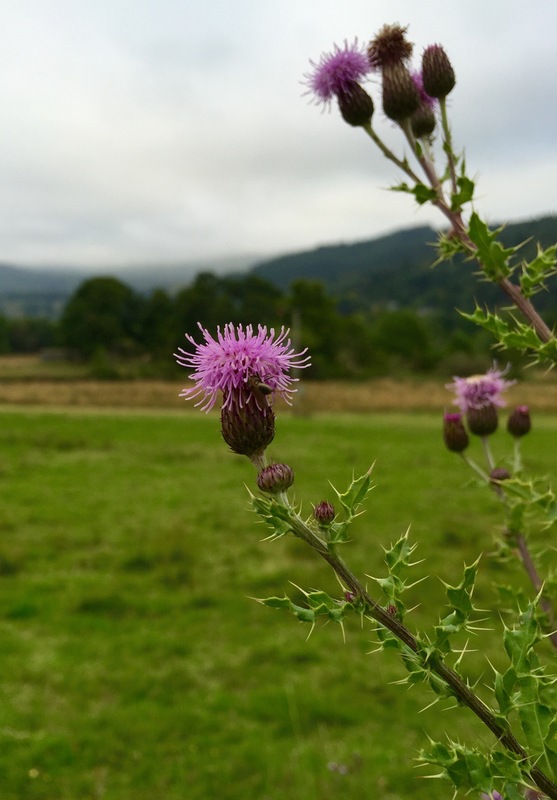 Thistle, which is a thorny weed, is the national flower. Whisky. Whisky is the national drink. Enough said. Butch Sports. Scottish school kids play a kind of baseball with a very hard ball and no glove in a sharp-looking school uniform, which includes a tie for all kids. Have you caught a baseball lately? Even with a glove it sometimes stings. More Butch Sports. Adults toss cabers (a big phone pole), boulders, and other very heavy or dangerous looking things for fun – while wearing kilts. Value on Farming. They built a bridge for tractors to cross the motorway – so farmers could plow fields on both sides of the road. Oh, and they have huge round hay bales. I am obsessed with these. It’s odd, I know. Rotaries. Confusing at first, rotaries are cool and very efficient. Plus, there’s a yellow light before the green on the traffic signals, which makes you feel like you are on a speedway. 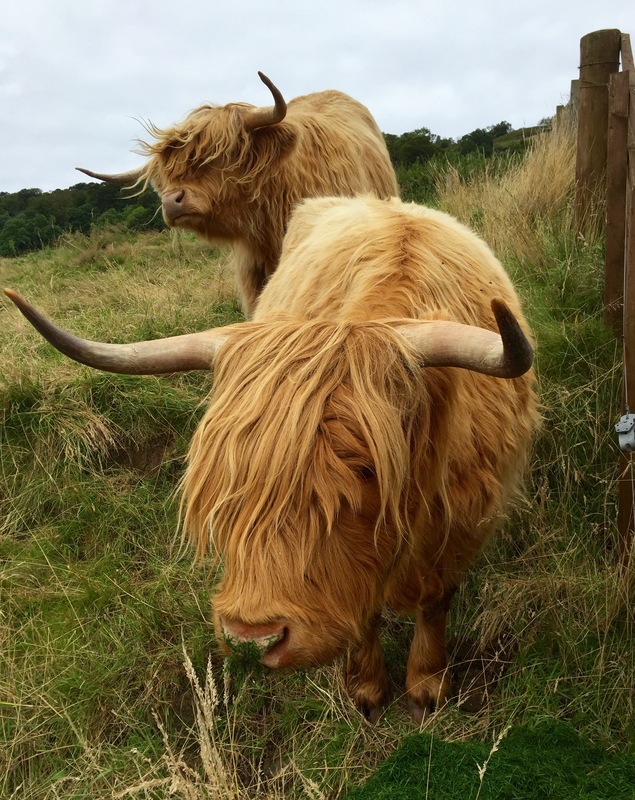 Higland Coos. Their cows are furry, with horns. Old Stuff. That building over there on the corner is older than America, yeah that one – the market. Castles. Lots of castles – over 3,000 which means one about every 100 square miles. Green. It’s an absolutely stunning country. Everywhere you look is beauty. And green, and water. Plus, they are way ahead of the US on being green (e.g., recycling is ubiquitous and you must pay for a bag everywhere). My Wife. The people are ridiculously nice. My wife is from there and her family lives there. Got any reasons to add? Want to tell me why your country is more Butch than Scotland? Go for it. It’s very Butch to be Scottish, but if you can’t be Scottish, it’s Butch to marry a Scott. I did. Be Butch.